Just like cameras, lenses, and other photography gear, there's no lack of selection of tripods these days. Not only do tripods come in various sizes made of various materials, but there's also tripods to fit virtually any budget. I've used Vanguard tripods for awhile now, and in my opinion, they offer some of the very best tripods on the market today. There's an incredible mix of value and reliability, quality of build, and toughness. They're also easy to use! With that in mind, I've put together four Vanguard tripods at different price points that will help you take better photos. 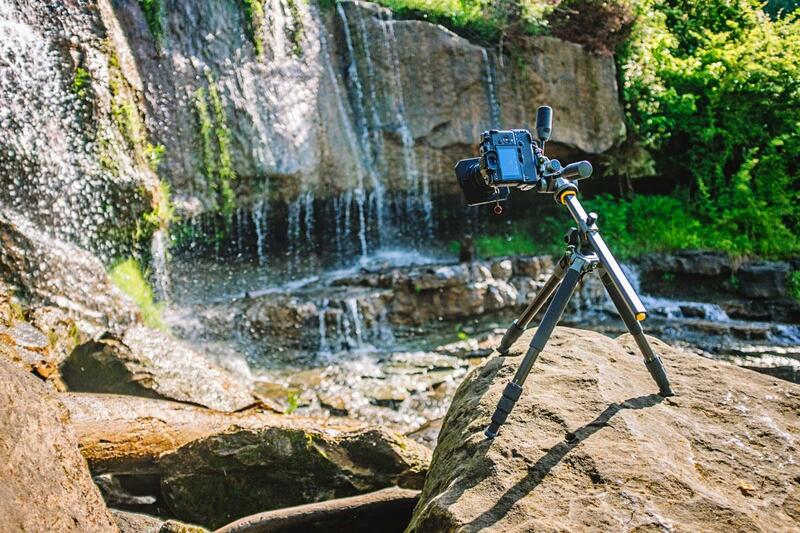 There's nothing wrong with wanting to save a little bit of money on your tripod. But you don't want to sacrifice quality when buying a less expensive piece of equipment. The Vanguard VEO 2 204AB is a perfect blend of budget-friendly pricing and top-quality design. It's made of magnesium and aircraft aluminum, so it's lightweight at just 2.6 pounds but can support nearly 9 pounds of gear. It's incredibly portable, with 20mm 4-section aluminum legs that make it easy to carry yet strong enough to safely hold your camera and lens. This tripod has a state-of-the-art center column that allows you to set the tripod up with a simple snap of your fingers and a twist to lock each leg. That makes it a breeze to setup and take down so you can spend more time actually taking photos. 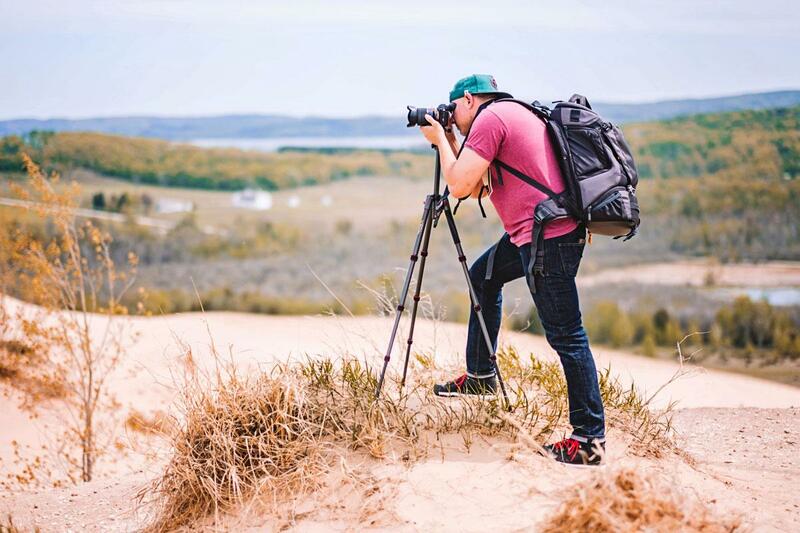 It allows for three different leg position angles to accommodate uneven terrain, and with non-slip, all-weather TPU grip on one leg, you can rest-assured you'll be able to safely carry the tripod without slippage even when wet. Add in angled rubber feet for strong footing, a bag to carry it, and an included ball head, and you've got quite the package for a budget price! 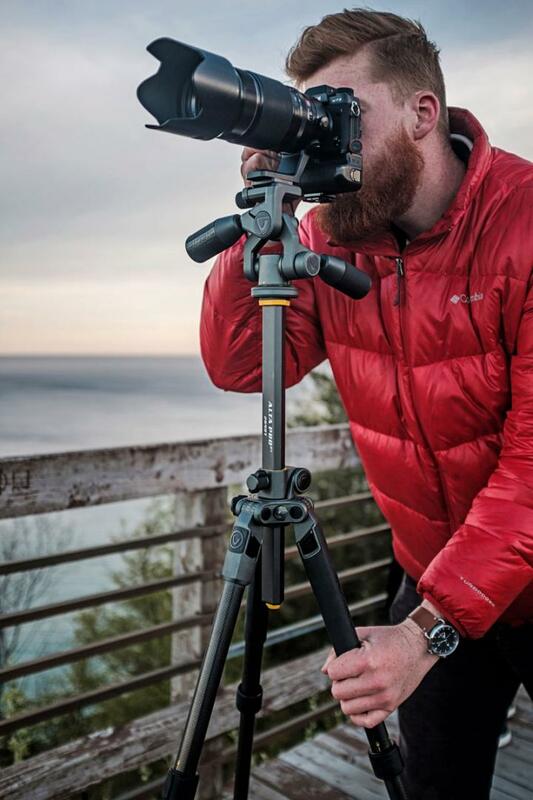 For a top-of-the-line experience without the top-of-the-line price, it's tough to beat the Vanguard Alta Pro 263AT tripod. This rig offers shooters unparalleled flexibility with its innovative central column that adjusts from zero to 180-degrees in vertical and horizontal positions. 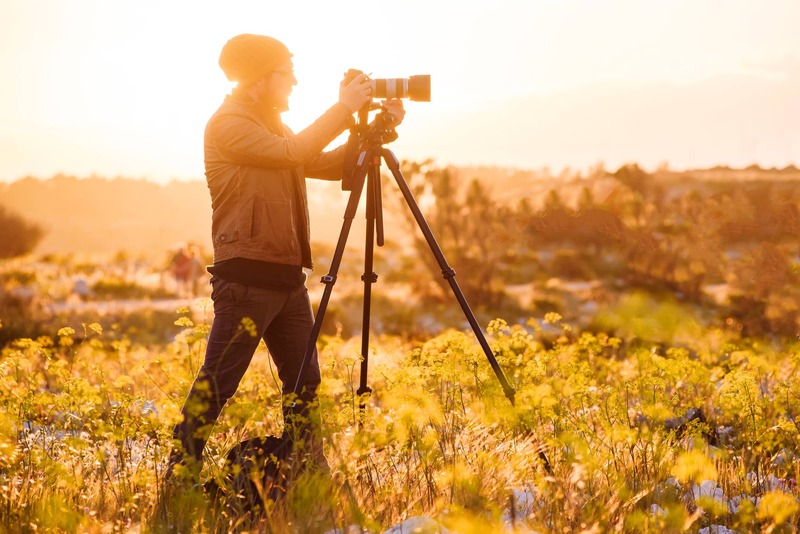 That means you can quickly and easily change the perspective of your shot, the angle of your shot, or switch from horizontal to vertical compositions with a simple move of the tripod's center column. Like all Vanguard tripods, this one can be set up in a matter of seconds with quick-flip leg locks that are easy to manipulate. The legs also adjust to varying angles - 25, 50, and 80-degrees, to account for the terrain. It's easy to carry, too. Made of aluminum, it's lightweight, yet strong. And though it extends to 65 inches, it folds down to just over 24 inches, so you can easily stow it in your bag for carrying. 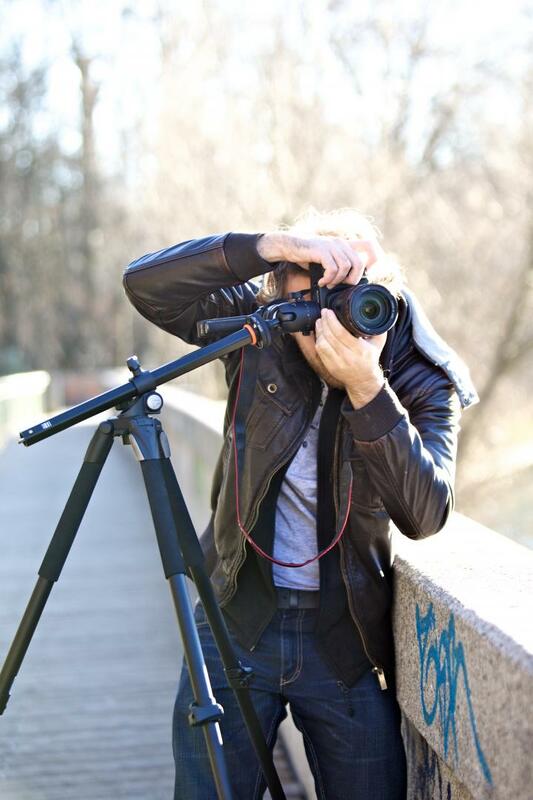 With an integrated bubble level, quick-lock mechanisms on the tripod's legs and center column, and a center column anti-shock rubber ring to minimize ground vibrations, this is one featured-packed tripod! My personal favorite Vanguard tripod - and one that I have thoroughly enjoyed using - is the Alta Pro 2+ 264AT. This thing is an absolute beast, with four leg sections that can be adjusted to four different angles - 20, 40, 60, and 80-degrees. Add to that the same Multi-Angle Center Column I discussed on the Alta Pro 263AT tripod in the previous section, and you have the makings of a tripod that will help you be more creative and frame up more interesting shots. It's made of aluminum, so it's easy to carry, but it's rock-solid and can support up to 15.5 pounds. It's easy to setup, too - something you should expect from Vanguard. 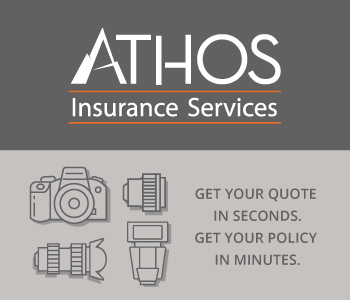 In fact, it's a matter of seconds from the moment I start the setup process to the moment it's ready to go. The hexagonal-shaped center column and the non-slip TPU grips on two legs are great for getting a firm grip on the tripod, too. There's an integrated bubble level, a suspension loop to hang weights to stabilize the tripod in windy conditions, and angled rubber feet to keep the tripod grounded, all of which I appreciate for my landscape photography. It's been a great addition to my kit, and it would be a great addition to yours, too! No matter how much you have to spend, you can find a solid, well-built tripod that will help you take better photos. 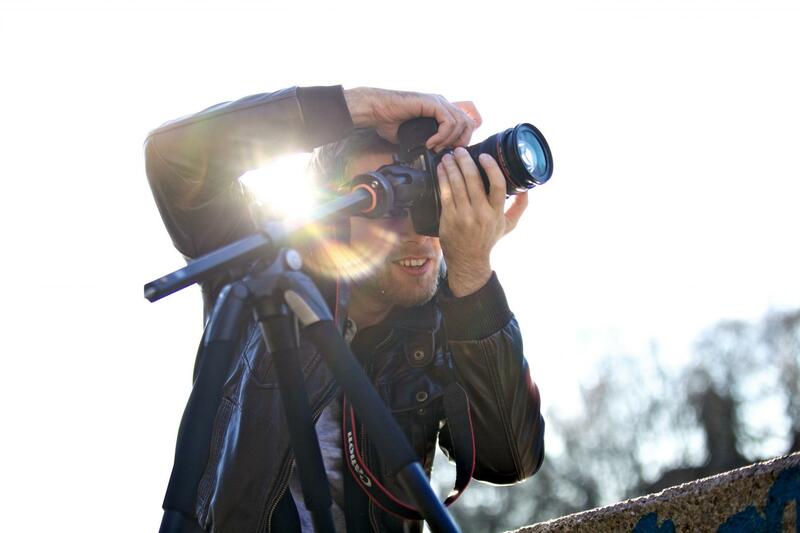 And that's really what it's all about - improving your photography. 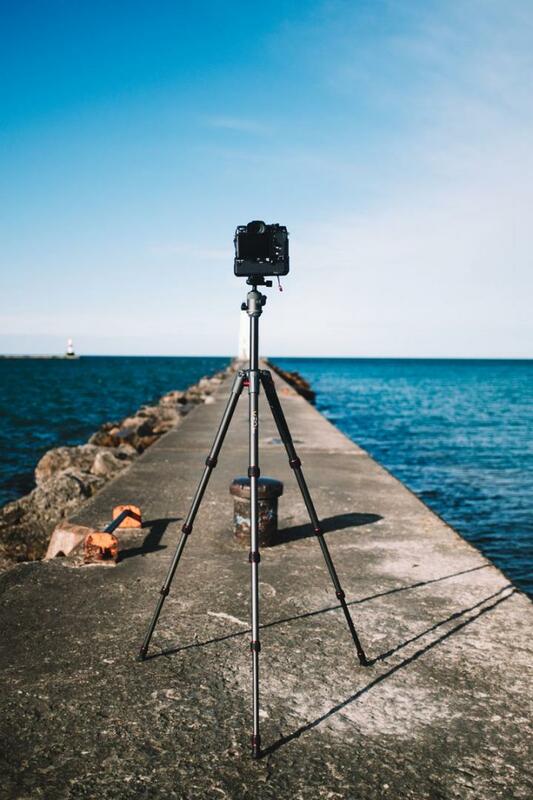 Whether it's getting images that are sharper, using your tripod to frame up more interesting angles or points of view, or simply having the ability to set your gear up for a long exposure, a time-lapse video, or a self-portrait, tripods can expand your photography horizons like no other piece of gear. If you want to take your photography to the next level, get a good tripod. And as I've demonstrated above, doing so doesn't have to cost you an arm and a leg, either! But don't take my word for it...see a quick review of some of Vanguard's camera bags and tripods in the video above by The Slanted Lens.